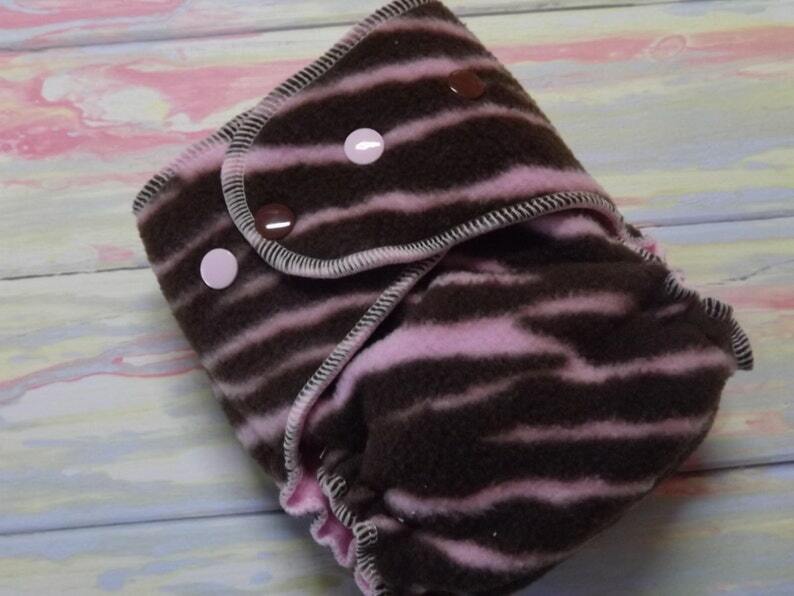 Fleece all-in-two cloth diaper is made from two layers of polyester fleece to provide breathable moisture protection. This is not completely waterproof, but can be used alone for a couple of hours,or as a hybrid fitted under another cover. Makes a great night time solution! Inner soaker is made from hemp cotton fleece and topped with coordinating cotton velour. Our foldable one size soaker is designed to fit in any of our AI2, fitteds, or two-step covers.. Fold-over rise to adjust fit for baby. Fits 8-20 lbs.